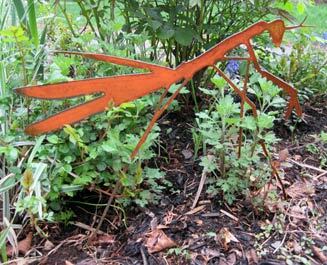 This Praying Mantis (19"w x 15"H) will stand guard while you are away from your gardens. A charming way to add some fun to your gardens or yard. Great for ponds & water gardens!